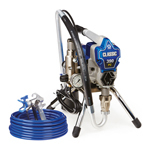 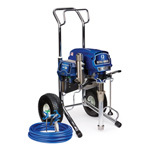 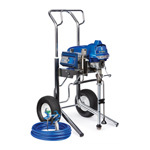 With Electric Airless pumps ranging from start-up airless paint sprayers such as the Graco ST Max through to the contractor choice of the Ultra® Max II, Graco has ensured every budget and application need is catered for within the electric airless sprayer field. 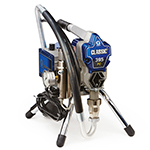 The Graco Classic 390 is an electric airless paint sprayer that is low in price but comes with a whole host of advanced features, typical of the Graco airless spray range. 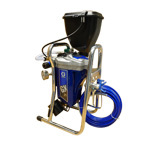 The Mark V Standard is an airless paint sprayer that is towards the top end of Graco's range and can be considered as a superb texture or intumescent sprayer. 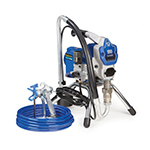 Whether it's airless spray guns, inline filters, suction inlet filters, spray tip extensions or spray tips and guards, we have a range of electric airless accessories for all your electric airless spray paint needs. 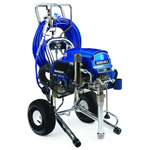 Corded handheld airless sprayer designed for small interior, exterior and specialty projects. 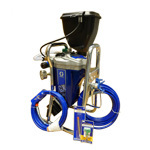 Sprays water-based materials. 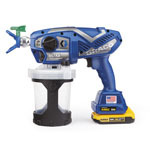 Cordless handheld airless sprayer designed for small interior, exterior and specialty projects. 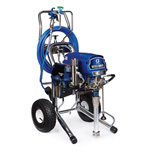 Sprays water-based materials. 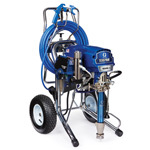 Corded handheld airless sprayer designed for small interior, exterior and specialty projects. 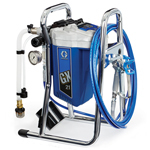 Sprays water-based & solvent-based materials. 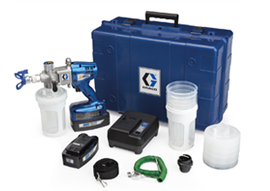 Graco's New entry level airless sprayer for residential use. 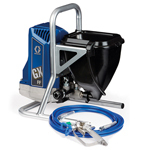 Graco's New entry level fine finish airless sprayer for residential use. 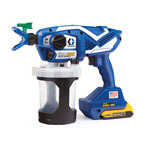 Equipped with BlueLink and the innovative Contractor PC gun, the ST Max II PC is perfect for medium residential and light commerical jobs. 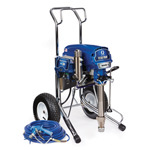 The Ultra Max II 695 ProContractor Series electric airless sprayers are built specifically for professional remodelling and repainting contractors looking to increase the number of larger jobs they spray and the performance to spray a wide variety of coatings with a variety of tip sizes. 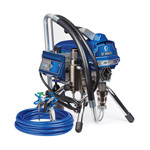 The TexSpray Mark V is built to deliver a higher flow rate to help you complete jobs faster. 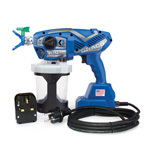 This unit comes with an upgraded Heavy-Duty Texture Gun that can accommodate a larger tip size to handle all texture finishes and the wide range of primers and paint.